Welcome to the Periodontal practice of Dr. Manjiri Mathur. 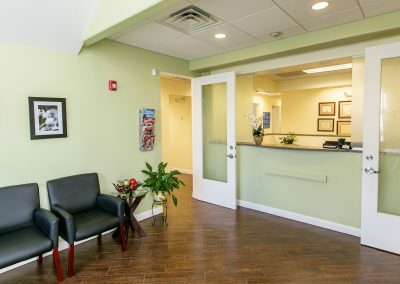 Dr. Mathur is a Board-Certified Periodontist specializing in all aspects of Periodontal Therapy, including Cosmetic Procedures to improve your smile and replacement of missing teeth with Dental Implants. These are warning signs of Periodontal Disease. A Periodontist can treat and prevent the progression of Periodontal Disease, leading to better overall health. 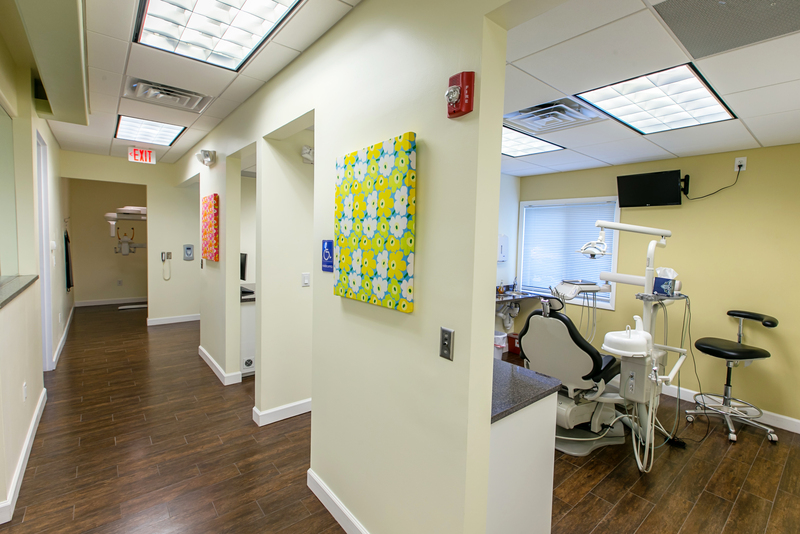 Periodontics is one of the seven dental specialties recognized by the American Dental Association. 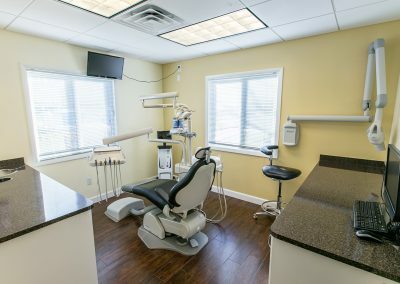 Periodontics is the specialty of dentistry that encompasses the prevention, diagnosis and treatment of the tissues that support and surround teeth or their substitutes (such as Dental Implants). It also maintains the health, function and esthetics of these tissues and structures. 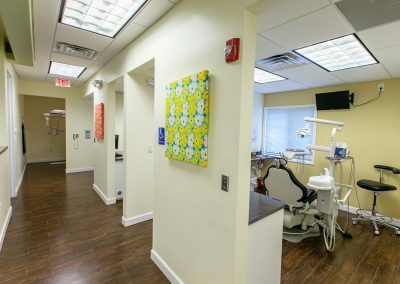 Dr. Mathur employs minimally-invasive techniques to treat gum disease, including the LANAP™ laser gum treatment. Learn more about LANAP™ in the Services section of this website. Dr. Mathur is a Diplomate of the American Board of Periodontology. A Diplomate is a Periodontist who has made significant achievements beyond the mandatory educational requirements of the specialty and who is certified by the American Board of Periodontology. 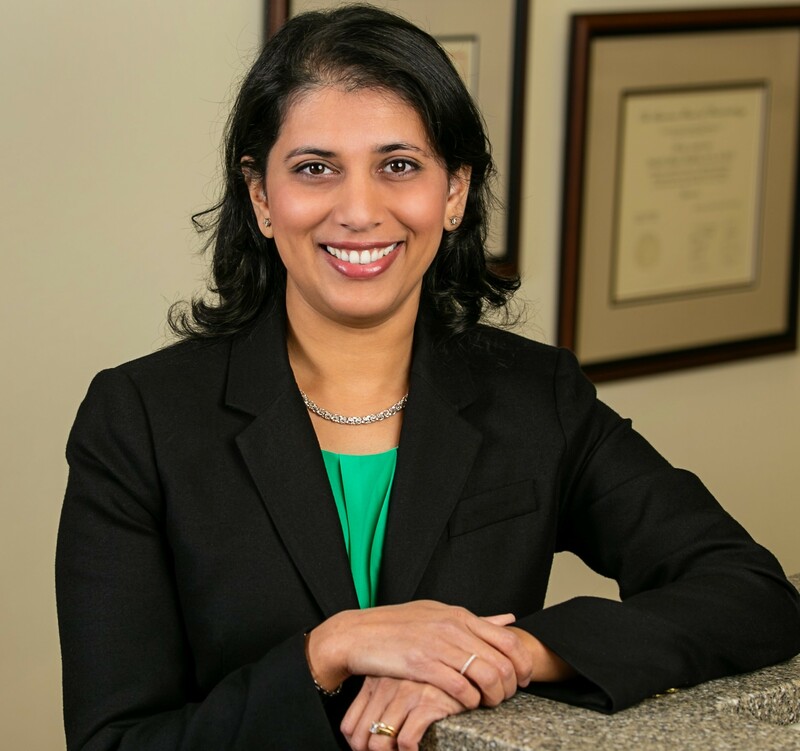 Dr. Mathur received her bachelors degree from Rutgers University, and her Doctorate in Dental Medicine and Specialty Certificate in Periodontics from the Rutgers University School of Dental Medicine. Periodontal disease is a bacterial infection that affects the gums and bone supporting the teeth. Bacteria found in plaque release toxins that irritate the gums causing inflammation. As a result, gums appear red, swollen and bleed easily. The mildest form of periodontal disease is Gingivitis, where the bacterial inflammation is limited to the gums without affecting supporting bone. 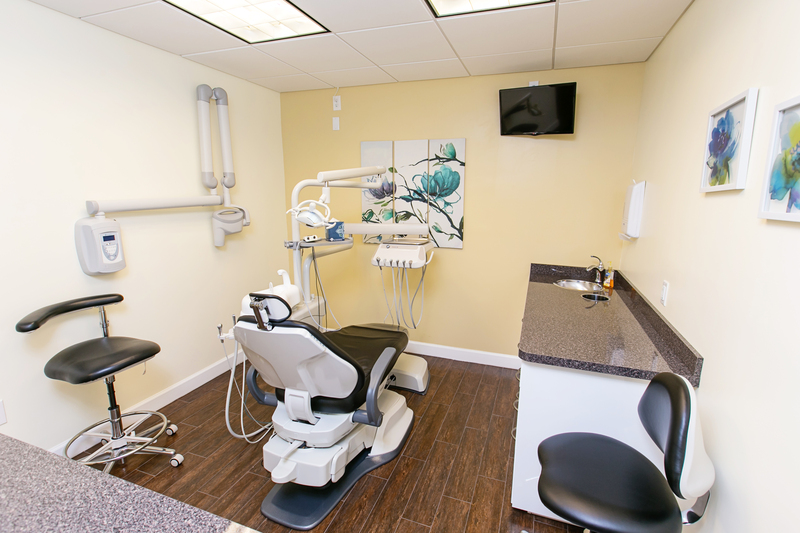 Patients with Gingivitis experience little or no discomfort. Gingivitis is usually caused by inadequate oral home-care, such as improper tooth brushing and flossing, and can be reversible with treatment. If Gingivitis is left untreated, it can progress to Periodontitis, leading to tooth loss and other serious problems. 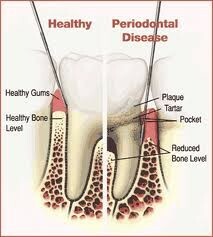 Periodontitis is an infection of the gums and bone that support teeth. When plaque spreads below the gum line, toxins produced by bacteria in plaque stimulate a chronic inflammatory response in the body. This chronic inflammatory reaction is responsible for breakdown of gum tissues and bone that support the teeth. As a result, gums separate from the teeth forming pockets between the teeth and gums. As the disease progresses, the infected pockets deepen and more gum tissue and bone are destroyed. Some symptoms of Periodontitis are gums that are red, swollen, bleed easily and sometimes painful, loose teeth, increasing spaces between teeth, and bad breath. Periodontitis is not reversible, however, Dr. Mathur has experience treating Periodontitis and will tailor a treatment plan for you to treat the infection and prevent further bone loss. Chronic Periodontitis is one of many forms of periodontitis. An increasing number of research studies have shown a link between chronic oral inflammation and other systemic diseases, such as Heart Disease, Diabetes, Respiratory Disease and Pre-Term Low Birth Weight babies. Having an inflammation free mouth can help keep your body healthy too. Several factors that affect your general health can also affect your gums. Smoking, Diabetes, Genetics and Stress are known risk factors of periodontal disease and they may increase your risk of developing gum disease. Poor nutrition, Medications, Clenching and grinding of teeth, Puberty, Pregnancy and Menopause in Women and certain Medications have also been shown to affect the health of your gums. Call Dr. Mathur today to learn how you can take control of your periodontal and overall health. Dr. Mathur’s treatment philosophy is to achieve periodontal health via the least invasive and most cost-effective methods. This is often accomplished with non-surgical treatment, including scaling and root planing. Scaling and root planing is a careful cleaning of the tooth surface to remove plaque and tartar from deep gum pockets. It also serves to smooth the tooth root and remove bacterial toxins. After scaling and root planing, many patients do not require gum surgery, but will require ongoing periodontal maintenance visits every 3 months to sustain oral health. Periodontal maintenance is a specialized periodontal cleaning designed for patients with Gum Disease. Non-surgical therapy does have its limitations though, and when it does not achieve periodontal health, surgery may be required. Surgery will restore the form and function of the gums that are damaged by periodontal diseases and will make brushing and flossing easier. Dr. Mathur has successfully treated hundreds of patients with non-surgical techniques. 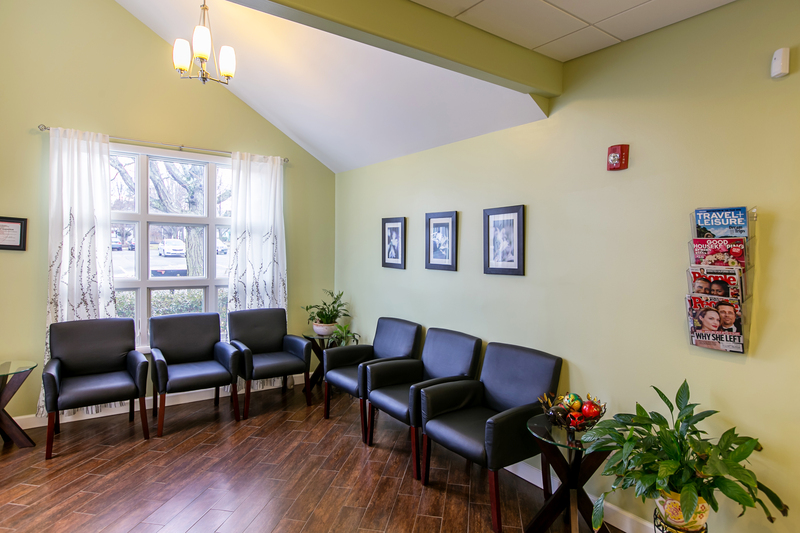 At your consultation appointment, she will review all treatment options available to you. When you have periodontal disease, tissue and bone supporting the teeth are destroyed, and “pockets” form around the teeth. Over time, these pockets become deeper and provide a larger space for bacteria to thrive. These bacteria can advance below the gum and cause the pockets to become even deeper resulting in further bone and tissue loss. Eventually, if too much bone is lost the teeth will have to be extracted. After measuring your gum pocket(s), Dr. Mathur may recommend LANAP™, or Laser Assisted New Attachment Procedure. In this procedure, a tiny laser fiber (about the thickness of three hairs) is inserted between the tooth and the gum. The laser targets diseased gum tissue and harmful bacteria that line the top of the gum pocket. The tarter deposits on the teeth are then cleaned. One final pass of the laser sterilizes the gum pocket and stimulates formation of a blood clot that acts as a glue to attach the gum to the tooth. This eliminates the need for traditional cutting and sewing of the gum. The procedure is fast: it takes just two 2-hour sessions. Since it is minimally invasive, most patients experience very little discomfort or tooth sensitivity. With routine 3-month periodontal recall and maintenance, the LANAP™-provided new attachment is remarkably stable and resistant to future periodontal breakdown. Patients are encouraged to improve and maintain standards of oral hygiene to prevent further gum disease. Learn more about LANAP™ below. After measuring your gum pocket(s), Dr. Mathur may recommend a pocket reduction procedure. During this procedure, Dr. Mathur will fold back the gum tissue, remove the disease-causing bacteria, smooth bone damaged by bacteria, and put the gum tissue back into place. Reducing pocket depth and eliminating existing bacteria are important for preventing progression of periodontal disease and to help you maintain a healthy smile. Reduced pockets, and a combination of daily at-home oral hygiene and professional maintenance care, increase your chances of keeping your natural teeth and decrease the chance of serious health problems associated with periodontal disease. Regenerative procedures can regenerate lost bone and tissue supporting your teeth with the help of bone grafts, membranes and tissue-stimulating proteins. These procedures can eliminate existing bacteria, reduce pocket depth and can reverse some of the damage caused by periodontal disease. Dr. Mathur may recommend a regenerative procedure when the bone supporting your teeth has been destroyed. During a regenerative procedure, Dr. Mathur will fold back the gum tissue and remove disease-causing bacteria. Bone grafts, membranes (filters) or tissue-stimulating proteins may be used to stimulate your body’s inherent ability to regenerate lost bone and tissue. There are many options to enhance bone support for your teeth and to restore your bone to a healthy level. Dr. Mathur will discuss the best options with you. If a tooth has been damaged through decay or some kind of injury, your dentist may try to fix it with a filling, a crown, or other treatments. However, if too much damage has occurred and the tooth cannot be repaired, then the tooth needs to be extracted. Tooth extraction is the process of completely removing the tooth from its socket in the jaw bone. A tooth extraction leaves behind a shell of jaw bone referred to as a socket. The only purpose of the socket bone is to provide support for the tooth within the jaw. When the tooth is lost, this bone begins to shrink significantly. To prevent shrinkage of the jaw bone, a socket bone graft is placed at the time of tooth extraction. This is particularly important if a Dental Implant is planned to replace the missing tooth. The socket bone graft is designed to temporarily fill the void left by the extracted tooth and hold the volume of this space while natural bone begins to grow in its place. Depending on the size of the tooth that was extracted, the socket bone graft requires an averages of three to six months to heal before an implant can be placed. A Dental Implant is an artificial tooth root that is placed by Dr. Mathur into your jaw to hold a replacement tooth or bridge. People in good general oral health who have lost a tooth or teeth due to periodontal disease, an injury, or some other reason may be candidates for Dental Implants. You know that your confidence about your teeth affects how you feel about yourself, both personally and professionally. Do you hide your smile because missing teeth create spaces or because your dentures don’t feel secure? Do you have difficulty chewing? If you are missing one or more teeth and would like to smile, speak and eat with comfort and confidence again, there is good news! Dental Implants are teeth that can look and feel just like your own! With proper placement by Dr. Mathur and diligent patient maintenance, Dental Implants can last a lifetime. Long-term studies continue to show improving success rates of Dental Implants. Replacement of missing teeth with Dental Implants requires a collaborative effort between your Periodontist and your restorative dentist. Dental Implants are intimately connected with the gum tissues and underlying bone in the mouth. Therefore, they are just as susceptible to bacteria and gum disease as natural teeth. Since Periodontists are the dental experts who specialize in precisely these areas, they are critical members of your Dental Implant team. 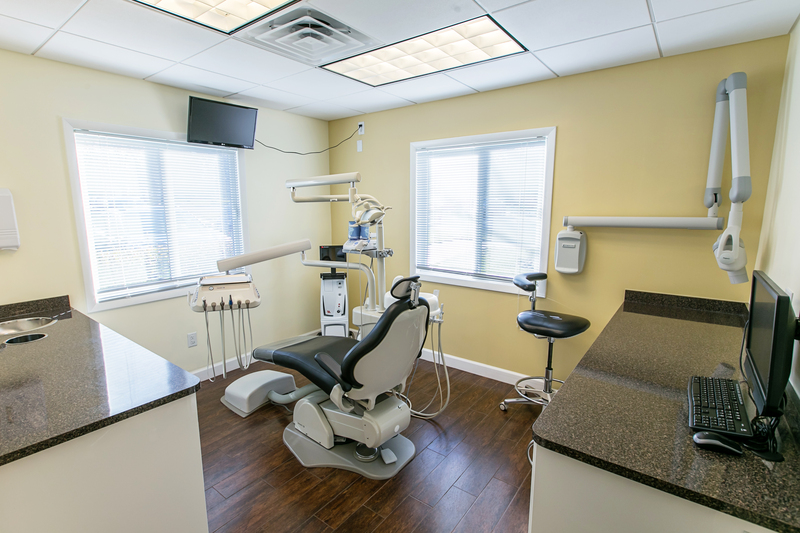 Periodontists have experience working with other dental professionals and they also have the special knowledge, training and facilities that are necessary to give you teeth that look and feel just like your own. Dr. Mathur and your restorative dentist will consult with you to determine where and how your Dental Implant should be placed. Depending on your specific condition and the type of Dental Implant chosen, Dr. Mathur will create a treatment plan tailored to meet your needs. 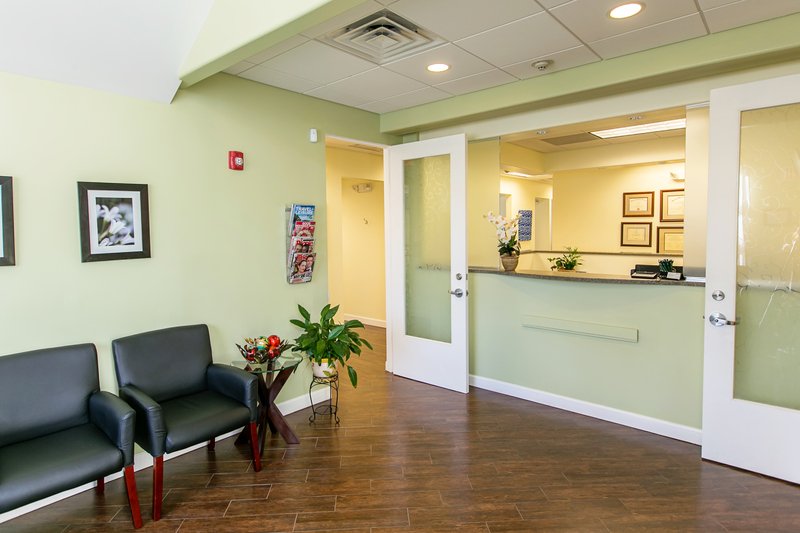 Dr. Mathur will review your medical and dental histories and evaluate your jaw bone. If adequate bone is present to support Dental Implants, Dr. Mathur will surgically place the body of a titanium Dental Implant into your jaw bone. The Dental Implant serves as a replacement for the root portion of a previously missing tooth. A healing period after placement allows your jaw bone to osseointegrate the Dental Implant into your jaw. Your restorative dentist may make temporary replacement teeth for you during the healing time. Once the bone around the Dental Implant has healed, Dr. Mathur may need to trim the gum on top of it to expose it. This will enable your restorative dentist to place an abutment and then create an implant crown that looks natural and feels like your own tooth. 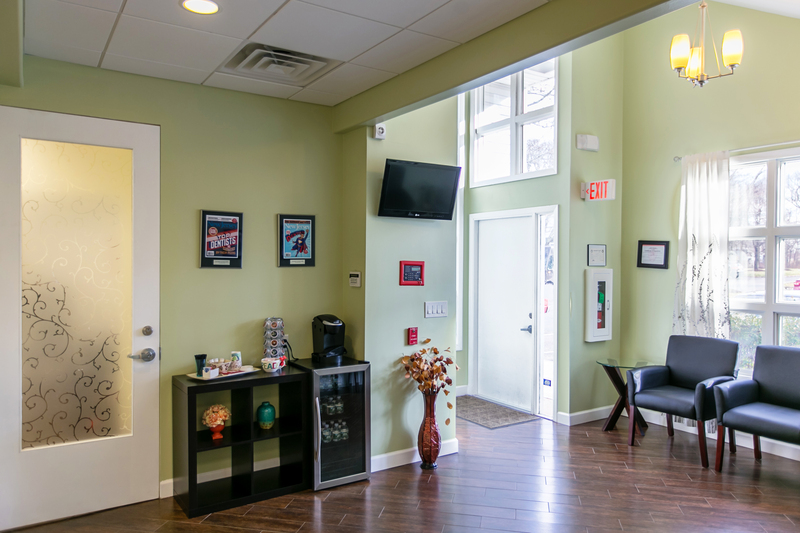 After treatment, Dr. Mathur will work closely with you and your restorative dentist to develop the best care plan for you. Dental Implants are like your own teeth and will require conscientious home oral care and regular dental visits. In order to keep your Dental Implant clean and plaque-free, brushing and flossing still apply. Periodic follow-up visits will be scheduled to monitor your Dental Implant, teeth and gums to make sure they are healthy. Dental Implants can replace one or more teeth without affecting adjacent teeth. They can replace several teeth in a row with an implant-supported bridge, thus avoiding the use of partial dentures. They can even stabilize your existing dentures and allow you to eat and speak with confidence. If you are missing a single tooth, one Dental Implant and a crown can replace it. 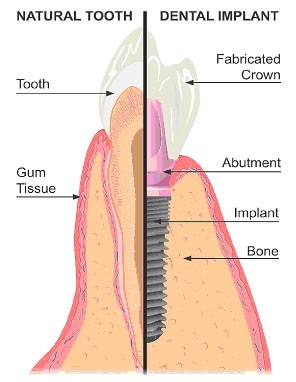 A Dental Implant replaces the lost natural tooth and provides an anchor in the jaw bone to support the crown. Esthetic — Dental Implants look and feel like your own teeth. Since Dental Implants integrate into the structure of your bone, they appear more natural. No one will ever know that you have a replacement tooth. Tooth-saving — Dental Implants don’t sacrifice the quality of your adjacent teeth the way bridges do. More of your own teeth are left untouched, and that is of significant long-term benefit to your oral health. Confidence Builders — Compared to dentures, Dental Implants give you a more stable option to replace one or several missing teeth. They will allow you to once again speak and eat with comfort and confidence. They are secure and offer freedom from unstable and wobbly dentures without messy pastes and glues. Reliable — The success rate of Dental Implants is highly predictable. They are considered an excellent option for tooth replacement. The ideal candidate for a Dental Implant is in good general and oral health, has adequate jaw bone to support it, and healthy gum tissues that are free of periodontal disease. If you do not have enough height or thickness of jaw bone, Dr. Mathur will perform procedures to increase the quantity and quality of bone, including Sinus Augmentation and Bone Width Modification. A key to Dental Implant success is the quantity and quality of the bone where it is to be placed. The upper back jaw has traditionally been one of the most difficult areas to successfully place Dental Implants due to insufficient bone quantity and quality and the close proximity to the sinus. Sinus Augmentation can help correct this problem by lifting the gum, raising the sinus floor and placing bone graft material to develop bone for the placement of Dental Implants. Dr. Mathur will explain your options for bone graft materials. Depending on your individual needs, the bone will require a healing time of about four to twelve months before Dental Implants can be placed. After they are placed, an additional healing period is required. In some cases, the Dental Implant can be placed simultaneously with the Sinus Augmentation. Deformities in the upper or lower jaw can leave you with inadequate bone in which to place Dental Implants. These defects may have been caused by periodontal disease, wearing dentures, developmental defects, injury or trauma. Deformities of this type cause problems in placing Dental Implants, and they can cause an unattractive indentation in the jaw line near the missing teeth. To correct the problem, Dr. Mathur will lift the gum away from the ridge to expose the bony defect. The defect is then filled with bone or bone substitute to build up the ridge. Depending on your individual needs, the bone usually will be allowed to develop for about four to twelve months before Dental Implants can be placed. In some cases, they can be placed simultaneously with a Bone Width Modification procedure. Bone Width Modification has been shown to greatly improve appearance and increase your chances for successful Dental Implants. It can also enhance your restorative success both esthetically and functionally. Some causes of gum recession and exposed tooth roots are periodontal disease, aggressive tooth brushing and tooth position. Exposed tooth roots make your teeth appear too long and can cause sensitivity to hot or cold foods. Soft Tissue Grafting procedures can correct gum recession to improve your smile and help prevent additional recession and bone loss. Dr. Mathur will take gum tissue from your palate or another donor source to cover the exposed root. This can be done for one tooth or several teeth to even your gum line and reduce sensitivity. This procedure can cover exposed roots to protect them from decay, reduce tooth sensitivity and improve the esthetics of your smile. When one or more teeth are lost, the jawbone in the area may recede creating an indentation in your gums and jawbone. As a result, the replacement tooth or teeth are too long compared to the surrounding teeth resulting in an unnatural appearance. Dr. Mathur can perform a Ridge Augmentation procedure which will fill in the indentation and recreate the lost natural contour of your gums and jaw bone. Natural-looking and easy-to-clean replacement teeth can then be created. Learn more about how Ridge Augmentation can increase the success of Dental Implants. Dr. Mathur may recommend crown lengthening for restorative purposes or to improve the esthetics of your gum line. If your tooth is broken at the gum line or if there is insufficient tooth height for a crown or bridge, a crown lengthening procedure will expose more of your natural tooth to enable your restorative dentist to place a restoration. Sometimes teeth appear short and result in a “gummy” smile. The teeth may actually be the proper lengths, but they’re covered with too much gum tissue. Cosmetic crown lengthening is performed to remove excess gum and bone tissue and to expose more of the natural tooth. This procedure can be done on one tooth to even out the gum line or on more than one tooth to improve your smile. Schedule an appointment with Dr. Mathur today to learn how you can benefit from this procedure. For patients who do not want to wear braces for years but want the same great results, a new technique has been developed to decrease orthodontic treatment time. Accelerated Osteogenic Orthodontics™ (AOO), also known as Wilckodontics™, is a technique that stimulates the bone surrounding teeth to allow braces to move teeth much more rapidly than ever before. As a certified AOO™ Periodontist, Dr. Mathur completes the bone stimulation procedure first. She then works with your Orthodontist to complete the rapid tooth movement. With this new procedure teeth can be moved approximately 4 times faster than they could be with conventional orthodontics. As a result, orthodontic treatment that previously took 1½-3 years can now be completed in just 3-8 months. The AOO™ procedure is feasible for most patients regardless of age. No one wants to go through extraction, graft and implant procedures, but if you need these services, you can do no better than Dr. Mathur. 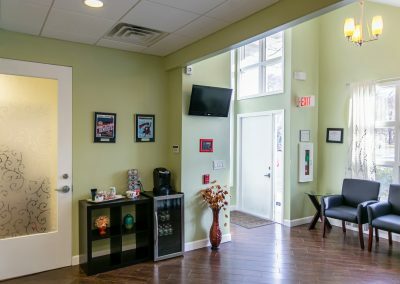 This was my second experience, the first with Dr. Mathur, and just as others have described, Dr. Mathur took the time to thoroughly explain the process, and was able to perform the work with far less pain and discomfort to me than I had previously experienced. In fact, some parts of the procedure were virtually pain free – a welcome surprise! When Dr. Mathur talked to me about needing gum surgery I was dreading having the procedure. Years ago, I had one side of my mouth done and the pain was so uncomfortable that I never proceeded to have my mouth completed. When I went to Dr. Mathur a few months back and she shared with me that gum surgery was a must, I realized that I really had no choice and that I could not wait any longer. Dr. Mathur explained a new procedure that is now used for gum surgery. The procedure is done by laser and the whole mouth is completed in a week. I went into it with an open mind and when the whole right side of my mouth was done, I was amazed. There was no cutting of the gums and the healing process was painless. Needless to say, I had the left side done the next week and had the same positive results. Thank you, Dr. Mathur, for sharing this new gum surgery procedure with me. I have been very pleased with the extraction and implant work Dr. Mathur completed for me. She does beautiful work with minimum discomfort and quick recovery. The office staff is all very nice and welcoming . Dr. Mathur is very professional as well as personable. She explains each step so that you know what to expect and are involved in the process. I would highly recommend her to anyone needing an extraction/implant. I went to Dr Mathur because I needed several procedures (extraction, bone graft, implant). Believe me, I was NOT looking forward to all that. But Dr Mathur thoroughly explained the procedures beforehand and put my fears at ease. She made sure I was comfortable throughout, and I was surprised how quick and painless each one was. It was so much easier than with other dentists. Her staff is friendly and efficient, too, so all in all, I can heartily recommend Dr Mathur. © 2018 Hillsborough Periodontics & Dental Implants. All rights reserved. 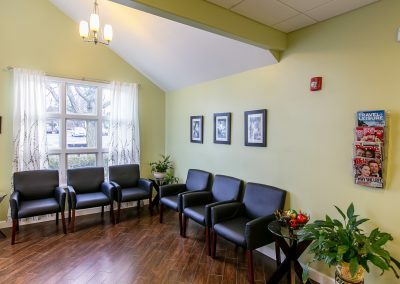 In addition to private practice, Dr. Mathur serves as an Assistant Professor in the Department of Periodontics at Rutgers University School of Dental Medicine. Dr. Mathur is committed to practicing state-of-the-art Periodontics and Implant Dentistry in a gentle and caring manner. In her spare time, Dr. Mathur enjoys spending time with her husband, son and daughter, trying new recipes, and traveling.